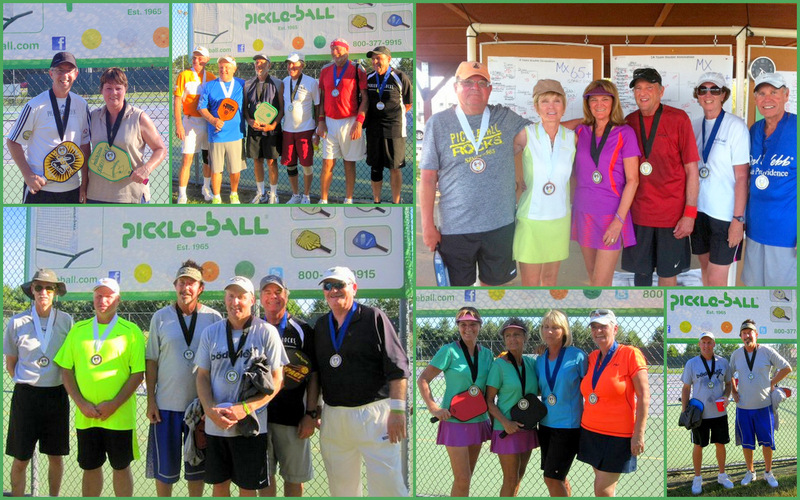 North Georgia players Tom Earley, Carole & Bill Hess, Steve & Pat Dunn, Katie Brown, Jon Pyle, Jimmy Williamson, Steve Cooper, Bill Neuman, Steve & Renata Hess, Llana Chadwick, and Cindy Moore came home with gold, silver, and bronze medals. The Dunns' were the big winners with medals in men's doubles, women's doubles, and mixed doubles. Thanks to all the Franklin "Way North GA PB Club" members who hosted this grand tournament - Joe Gilmore, Stephanie Lane, and Anne Forte. We hope to offer you the same great competition and hospitality when you come to our tournament in November!